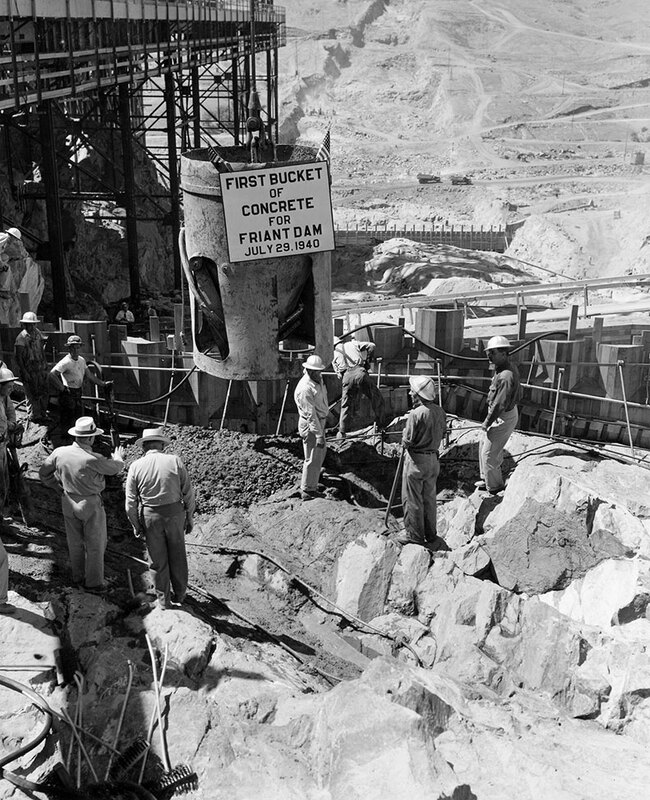 The Friant Division is the centerpiece of the United States government’s Central Valley Project (CVP), which was constructed in the 1940s and 1950s to supply water from some of California’s hydrologically wetter regions to agricultural areas and communities with relatively less reliable surface water supplies. Friant Dam and Millerton Lake (520,500-acre-foot capacity), completed in 1942, on the San Joaquin River northeast of Fresno. Friant-Kern Canal, completed in 1949, running 152 miles from Friant to the Kern River in Bakersfield. Madera Canal, completed in 1944, running 36 miles northwest to Ash Slough, east of Chowchilla. 34 Central Valley Project (CVP) water contractors, including 34 water districts and municipalities. 15,000 family farms, more than 1 million acres of highly productive farmland, and Fresno, California’s fifth-largest city. First explosive blast on November 5, 1939. The Friant Division was originally designed and planned to address two pressing crises in the Western U.S., and especially along the east side of the San Joaquin Valley, during the early twentieth century: unsustainable groundwater pumping that had caused major land subsidence, and needed economic development to support the influx of population to California that began with the Dust Bowl of the 1930s and continued for two decades. Many of the water districts in the Friant Division were founded in the nineteenth century and their farmers successfully irrigated for decades using a balance of groundwater and supplies from local rivers and creeks. But by the 1920s, over-pumping had reduced valley groundwater levels dramatically, and the federal and state governments designed a plan to build a water project that would stabilize groundwater levels while allowing the regional economy to thrive and grow. 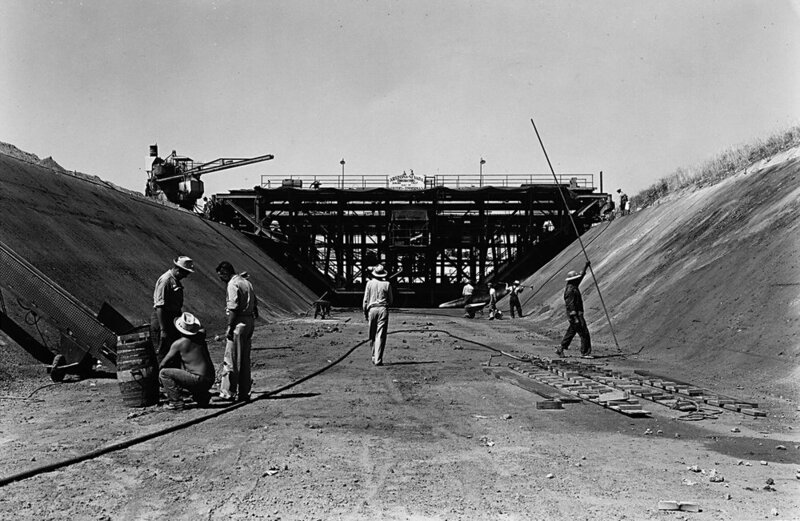 It involved building Friant Dam to impound surface supplies from the San Joaquin River and two canals – the Madera and the Friant-Kern – to deliver water to the eastside of the valley. Thus, the Friant Division became one of California’s earliest and largest regional “conjunctive use” projects – it was designed specifically to ensure that water users received a surface water supply from the San Joaquin River in most years that could be used to grow crops and recharge groundwater, which could be called upon in the driest years to sustain crops and cities. Through this arrangement, Friant Division contractor water supplies and groundwater tables were managed sustainably for more than 70 years.